Ever wondered how an orchestra operates, or the meaning behind the repertoire you hear at CPO performances? Classes are held in the evenings, from 7 – 9 p.m. at the UCalgary main campus. Through listening, lecture, discussion and attendance at select Calgary Philharmonic Orchestra concerts, examine the making and development of classical music with the aim of deepening your understanding and appreciation of this music genre. Students in this course attend the concerts they learn about and receive a backstage tour before the final concert in the session. Each class has a visit from a CPO musician who speaks about their instrument, career path, what it’s like to make music for a living, and answer questions from students. Through four preview sessions, the course offers a layman’s introduction to four concerts and attendance at those concerts. Course fee includes the price of concert tickets, orchestra seating. Calgary Philharmonic season ticket holders please call to register at a reduced rate. 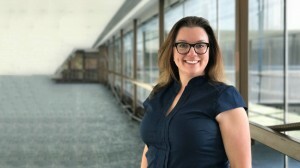 Jennifer MacDonald, Director of Orchestra Operations at the Calgary Philharmonic Orchestra teaches HUM 405 – Evenings with the Calgary Philharmonic at the University of Calgary. Before moving to Calgary in 2011, Jennifer was Assistant Artistic Administrator with the Toronto Symphony Orchestra, and had previously served as Artistic Administrator for the Ottawa Chamber Music Society. Jennifer holds an MA from McGill University in musicology, and a BMus from Mount Allison University.